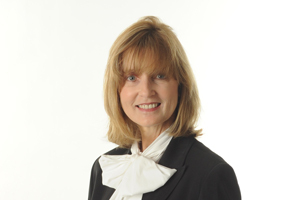 Genie Orton has over 30 years of experience in Accounting and Finance, covering both private and public sectors. Genie graduated from Queen’s University with a Bachelor of Commerce and then obtained her CA designation while working for an international CA firm in Kingston. Prior to joining Welch, Genie was a partner with this same firm and then ran her own practice before moving to the health care and fund-raising sectors in Toronto. Her work experience also included a brief stint in commercial banking which she credits to her ability to see things from more than one perspective in managing risk and profitability. Genie’s clients in the Napanee and surrounding areas include a broad cross-section of small and medium sized businesses, not-for-profit organizations and government clients. Accounting and assurance services, corporate and personal tax compliance and related planning. Past President, Greater Kingston Chamber of Commerce in 1994 and member of the Executive from 1988 through 1994; Instructor for the 2010 Roots of Empathy; Volunteer with the 2010 Kingston Writers Fest; Volunteer with The Poverty Challenge in 2009, 2010 and 2011. Coming home to our working farm gives me plenty of opportunity to develop outside of accounting. It seems that our work is our pleasure at this time in our lives and we are lucky for that. The Wealthy Barber series should be mandatory reading for high school students. On the personal side, I enjoy historical fiction but push my reading envelope by participating in a monthly book club where we read a variety of genres. A return to Italy for 3 weeks in 2014! The art, history, geography, culture and food of Europe are pure pleasure. Boyhood – not because it is exciting but for the reality portrayed and the 12 year commitment to make this movie. My life partner Alvin and our two sons Kyle and Glen; 3 incredible men who inspire me to do my best.